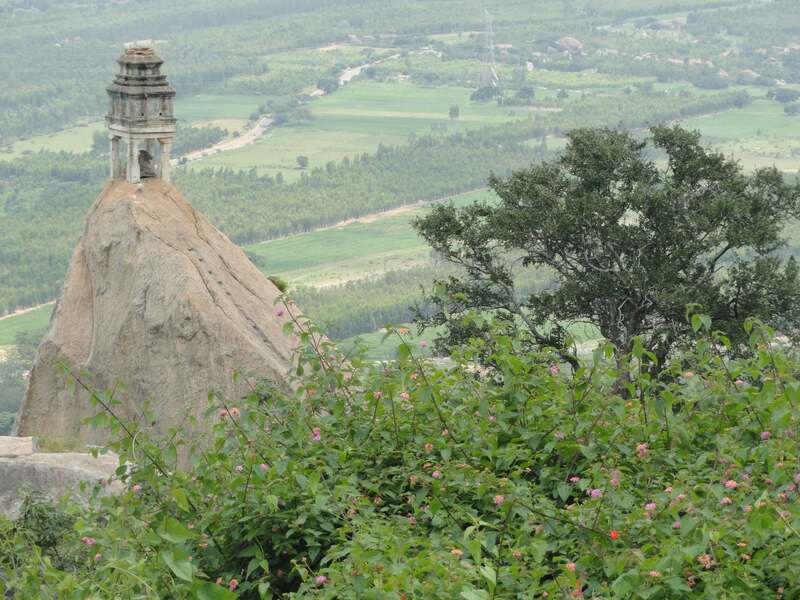 Shivaganga Hill is a mountain peak with a height of 1368 meters and Hindu pilgrimage center located near Dobbaspet, in Bangalore Rural district India. 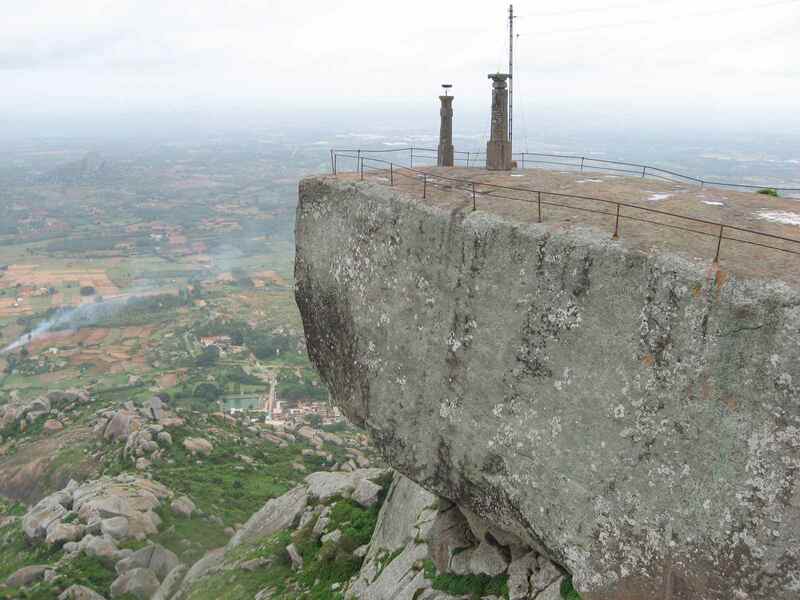 It is situated 20 km from the town of Tumkur and 54 km from Bangalore. An interesting belief about this temple is that if an abhisheka is performed with ghee here, the ghee turns to butter. It is said that the ghee that turns to butter has medicinal powers and can cure many ailments. According to legend there exists a secret tunnel that extends from the sanctum sanctorum (Garba Griha) of this temple to the Gavi Gangadhareshwara temple in Bangalore, around 50 kilometer from this temple. 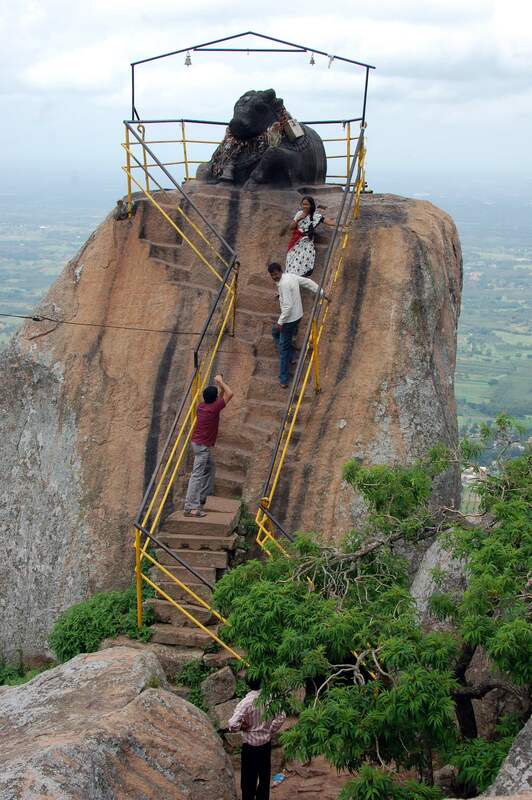 The area is a popular site for rock climbing in the Karnataka state. 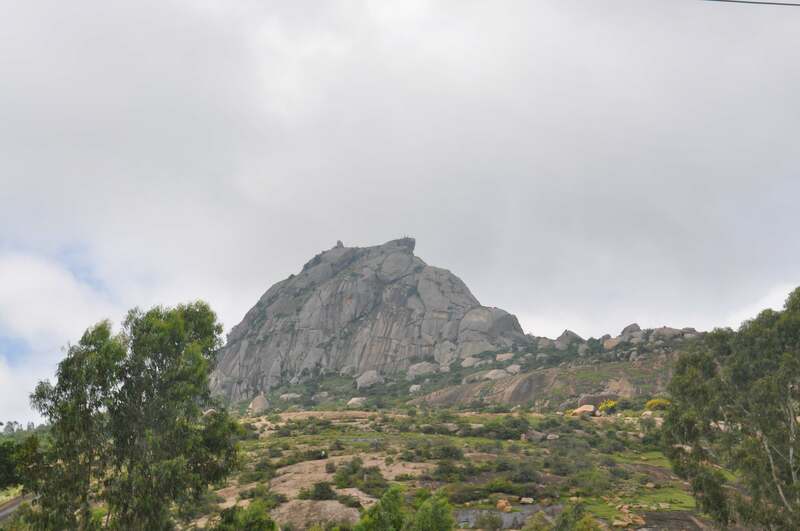 The entire trail to the peak is well marked and the presence of man-made steps (often carved into the rocky landscape, but sometimes made from rocks) makes the trail suitable for beginners. There are frequent rest opportunities with stalls serving food and drinks. 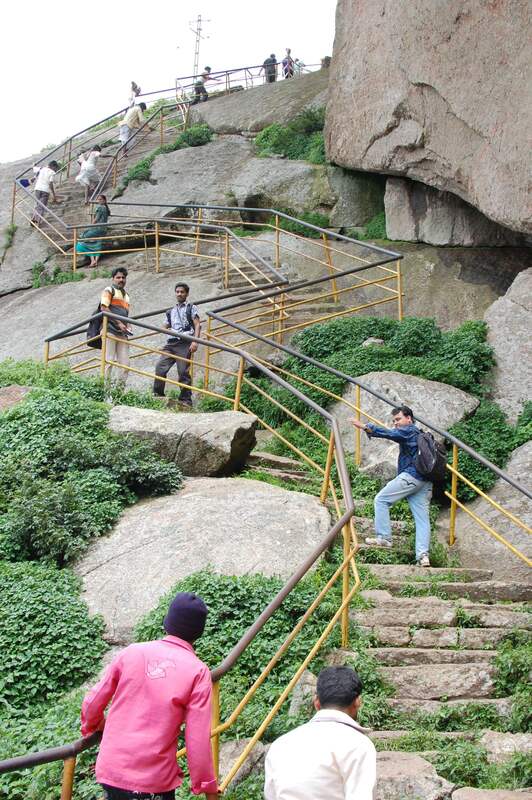 The vertical ascent is approximately 800 metres, much of which is climbed towards the end of the path where the trail becomes steep and narrow - safety rails are provided in such areas. Monkeys are a pest in the area, often snatching belongings (especially food) from unsuspecting trekkers.